Wondering how to save money? From your weekly food shop to your next gadget purchase, here are a few smart, simple, money saving tips. Know what’s coming in and what’s going out: It is necessary that you should know what you are earning. There is a difference between the salary package and the net income in your hand. You need to pay taxes on the income you receive. You have to plan your expenses and future with money that you get after paying taxes on your income. Stick to your budget: Once you know where your money goes and how much money you have, budgeting becomes essential. It helps to keep track of your money matters. It gives a very good picture of what’s happening with your cash flows and why. When you are at initial stages of your career this excerscise may look too boring. 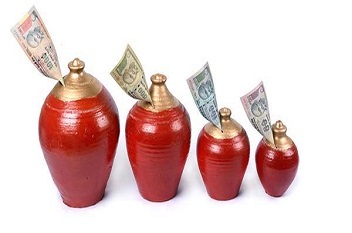 Separate your savings account: Savings will not be there unless you accumulate some money. Make it a practice of letting your savings go into a specific bank account from where you can invest them. How can you earn more? : Many times, your job growth is not decent enough to take care of rising expenses. But changing of job or a career is easier said than done. Identify, if there can be earning opportunities along with your job which can help you to increase your income. Resist impulsive buying: Youngsters fall prey to the advertisements offering big discounts. Impulsive buying is spending money on items which you have not planned to buy.